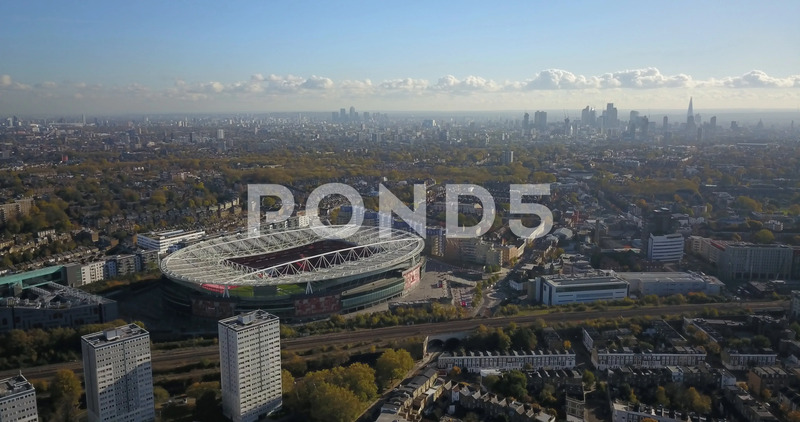 Aerial Drone Footage Of London Looking South Over Emirates Stadium. Description: Aerial Drone footage of london looking south over emirates stadium at the london skyline including the shard. A train goes by underneath.